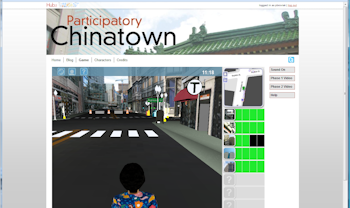 Exploring and reporting on the use of online tools and virtual worlds for those working in engineering-related fields. Jon Brouchoud, aka Keystone Bouchard in Second Life, is an accomplished designer of virtual environments. 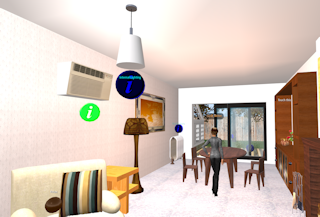 Fortunately for others working in this medium, he recently built a space in Second Life showcasing fundamental design concepts called Virtual Architecture 101. The site itself also serves an example of a creative, well thought out use of space incorporating elements from the design field. 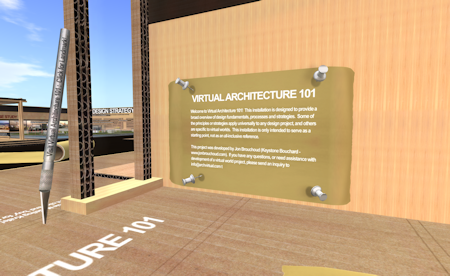 But the lessons offered in the Virtual Architecture 101 area are relevant for designers regardless of whether they create digital buildings or brick and mortar structures. Jon starts out the instruction with representations of fundamental design elements such as points, lines, color, texture, etc. Each display has a short explanation of the element with a related 3D example. The next areas describe the design process and design strategy. Throughout the space, Jon offers examples of design concepts and ideas. Some who have not yet set foot in a digital space, might wonder why not study this information through a more traditional method. But the ability to actually walk into a space and feel and see the concept presented helps to make the learning more interactive and memorable. You can tell someone that elevating a floor impacts a feeling of space and increases prominence of an area, but you won't actually feel it unless you can actually walk onto a platform. 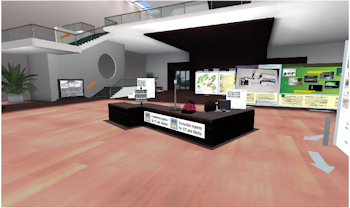 This is what the virtual space offers - the ability to offer that experience during the learning process. 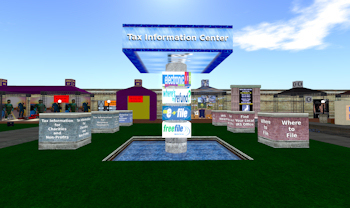 There is also an IRS Careers Group and gifts are located throughout the sim for group members. 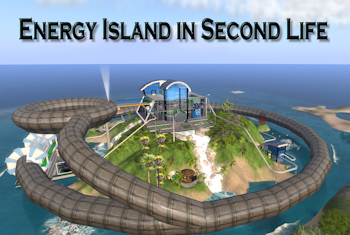 Earlier this spring, the U.S. Department of Energy (DOE) opened up Energy—a virtual site in Second Life located just east of the Meteora sim—another government-owned island managed by NOAA. 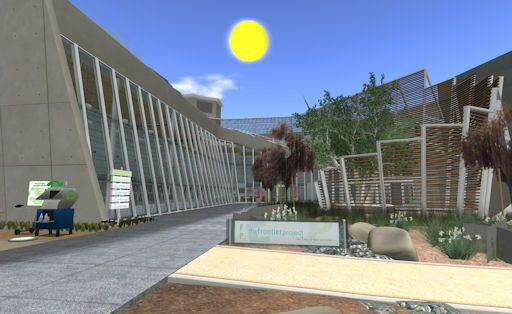 Visitors to the Energy sim start at the DOE Career Center, a large building perched on a hill in the center of the island. Energy Ant, a digital bot located at the front desk of the center, is available to greet anyone interested in chatting. Books and displays throughout the center offer information about working for the DOE. A treasure hunt is available on the center’s patio on the ground floor. On the second floor of the center, there is meeting space and a boarding area for the island’s monorail. The monorail ride provides narration about the island and points out energy-related displays positioned along the track. These exhibits showcase tidal generators, a geothermal power plant, heliostat array, and wind turbines. People interested in touring the particle accelerator, a large structure that encircles the island, can enter from the second floor of the career center. Here, avatars can rez a cart on which to ride through the accelerator and learn more about its purpose and operation. According to the website for the MFG Baden Wuerttemberg, the agency launched a virtual build in March 2007 in Second Life. The agency, known as the Public Innovation Agency for Information Technology and Media in Baden Wuerttemberg, eventually expanded their efforts to include another sim. "Our aim is to give young, creative brains from Baden-Wuerttemberg a chance to test new forms of communication and cooperation on the 3D Internet at an early stage in partnership with us", explains Klaus Haasis, managing director of MFG Baden-Wuerttemberg. b-scape: this display allows visitors to access a variety of maps from the Birmingham area. 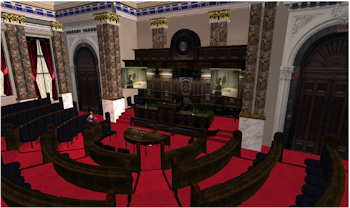 Some are enhanced using Second Life 3D objects and Flickr photo feeds. 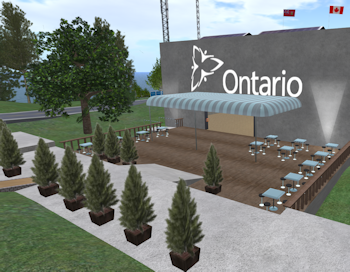 The Prince Edward County sim is located on the grid just south of the Loyalist College island. 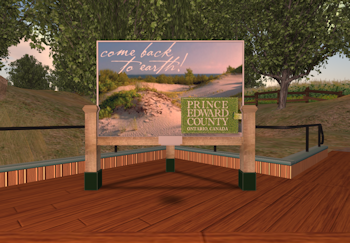 The site was designed to highlight recreational activities and attractions from the county such as a crystal palace, art trail, sandbanks, taste trail, wine trail, and graveyard.